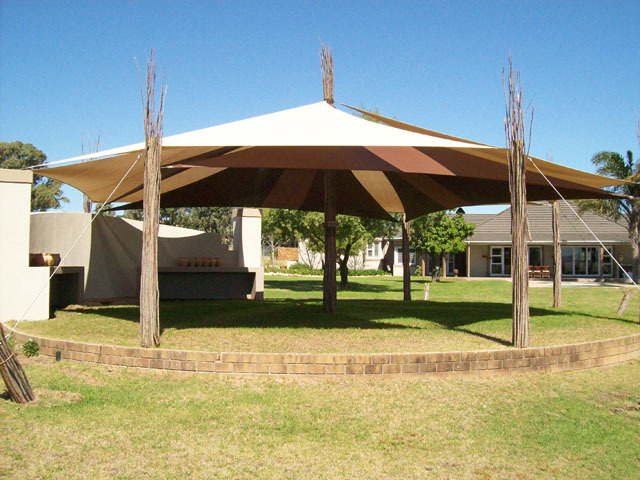 The modern and stylish way to provide shade to any outdoor area. 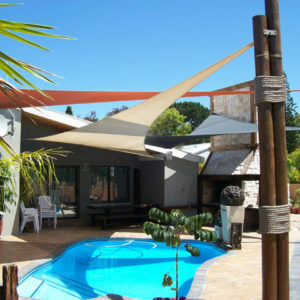 Unique and infinitely variable, shade sails will add a feeling of tranquility to any area. 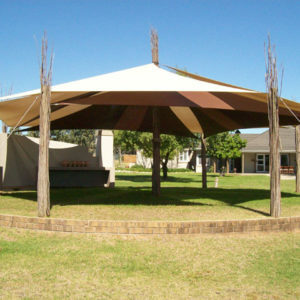 Sun protection for larger areas than with conventional shade methods such as pergolas and umbrellas. Custom made for each application to ensure the needs of the client is met. 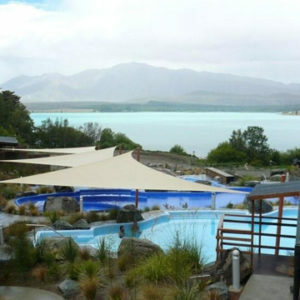 Up to 95% UV block – exceeds levels recommended by Cancer Society. 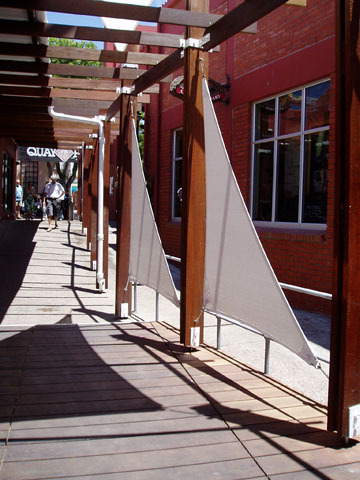 Wind deflection, if correctly installed. Frost protection for plants during winter in colder regions. Can be removed during winter when the sun’s warmth is wanted. 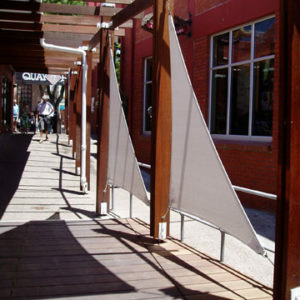 Stainless steel (316-marine grade) fittings and cables are used, ensuring rust free and long life shade sails of superior quality. 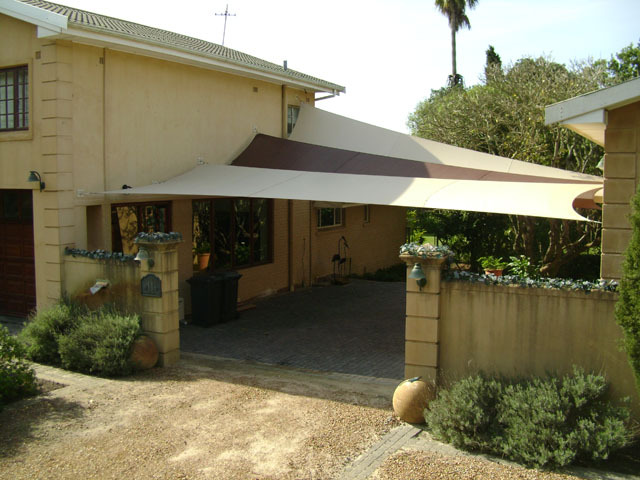 A 1-year written warranty given on installation (workmanship) and an 8-year warranty against UV-degradation, on the shade cloth itself. 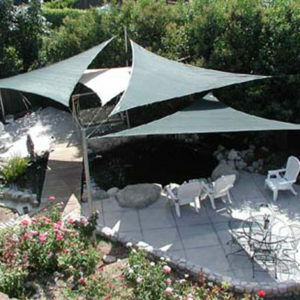 Internationally acclaimed design and installation methods. 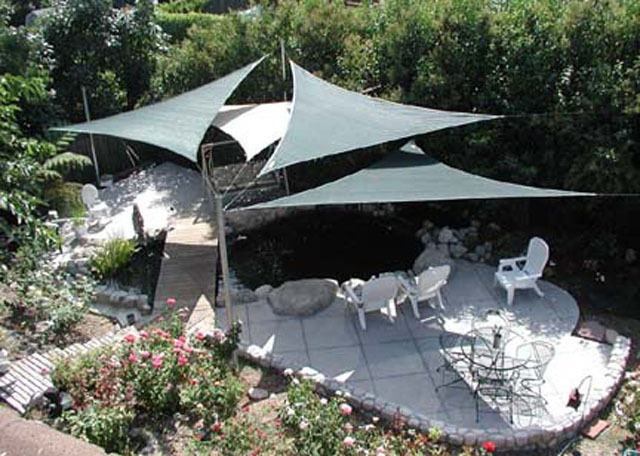 We use world class High Density Polyethylene netting, designed for tension membrane structures, which comes in a wide range of colours and warranty against fading or sun degradation. 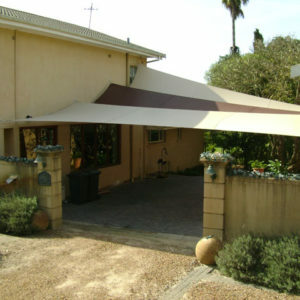 100% Waterproof shade sails available. 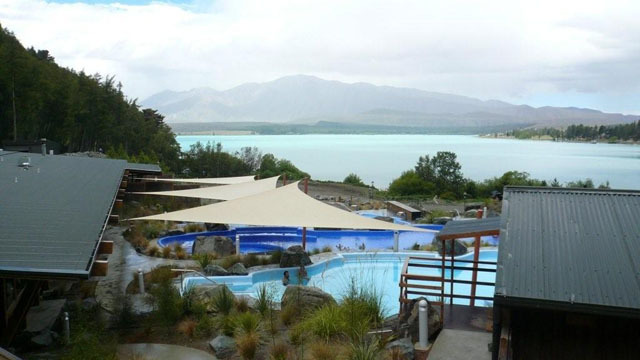 Extremely flexible in design when it comes to areas that are unusually shaped. 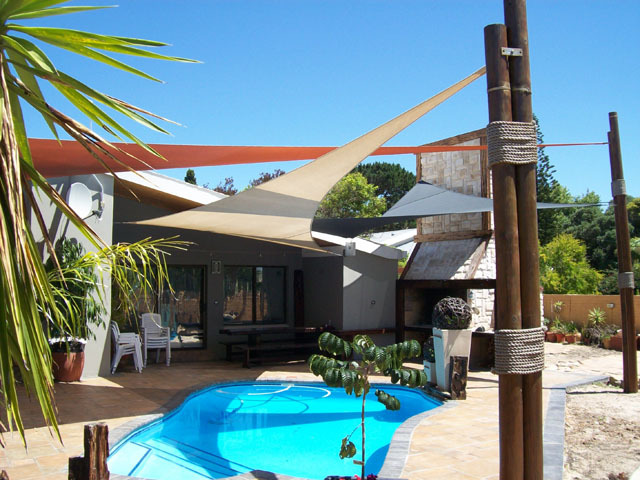 Superior to conventional shade methods because of their long-life performance, proven sun protection, and exciting visual effect, shade sails are a must for people who wish to enjoy the outdoors, but are concerned about the heat and dangers of the sun.